September 21 has been declared the International Day of Peace by the United Nations. Bully for the UN! I’m all for peace, of course, and dedicating a day in its honor in the face of the inexorable tsunami of violence that leaves even humanitarian aid workers dead, provides an excuse for spending a few seconds thinking about alternatives. But I’m afraid any alternative that plays out at the institutional level alone will always fall short in its effects. It’s only when individual transformation has been brought into the mix that peaceful behavior is normative. There are those who say it’s unrealistic to imagine a world in which all, or even a majority, of its inhabitants become pacifists. But who’s really being unrealistic? Is it realistic to imagine that peace can be founded on a bedrock of violence? Ginsberg’s distinctly Buddhist kind of poetic practice . . . was, he explained, “similar to the Dharmic practice of letting go of thoughts [so that you can have] the confidence to observe your own perceptions and discontinuities.” By objectively capturing such moments, Ginsberg believed that poetry could be “a ground of purification….” a practice of recognizing that the irretrievable nature of time made it impossible to revise or deny the truth that is evident in every moment.1 To see how this works, you may have to spend a little time . 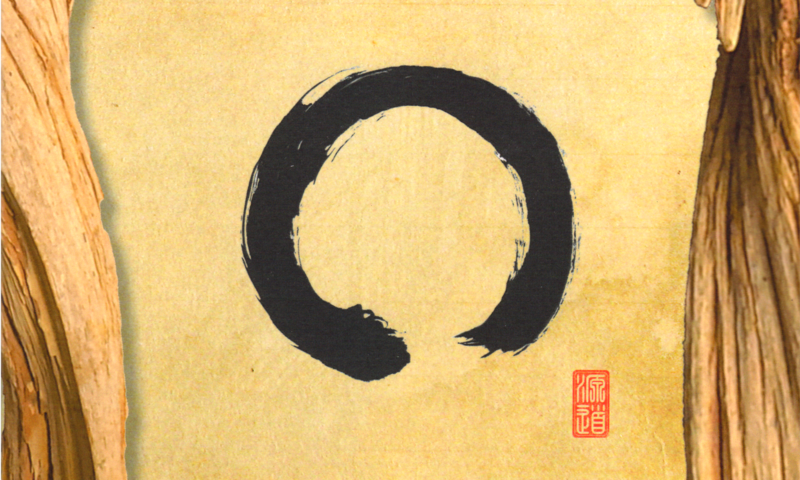 . . in the quiet air of Zen. . . . if you slow down and let the words of “First Party” force you to turn your light inward—then you will find that it becomes a terribly beautiful thing, endlessly unfolding itself within you just as Zen koans do. Koans are snippets of (usually) ancient masters’ dialogs that have become the objects of meditation and realization in the Zen tradition. In koan practice, you begin with a slow, meticulous walk along the tightrope of words, steadily concentrating on each step of the path of language, finding your way to the other side of the intrinsic meaning of the words. To get at the gist of “First Party at Ken Kesey’s,” therefore, just slowly and meticulously observe everything in it, step by step, with your mind in a state of graceful, balanced equipoise. When you reach the other side, far beyond the mere dictionary meanings of Ginsberg’s words, then you will see the Zen of his poem: that what is important is not the contested territories of right and wrong, or tradition and revolution, but that the origins of human conflict are within you. Previous PostPrevious It’s Finally Out!